I had the pleasure of leading a cooking lesson for a FABULOUS group of ladies this week. We made a full dinner but the star of the night was the Cranberry Margaritas. Crisp, tart and not too sweet, this cocktail will be the star of your holiday season. The color alone is swoon worthy. For each cocktail, combine ½ oz. lime juice (1/2 a lime), 1 oz. orange juice, 1½ oz. tequila, and 2 Tbsp. cranberry juice in a cocktail shaker and fill with ice. Cover and shake about 30 seconds. Strain into a glass garnished with pink salt and full of ice. 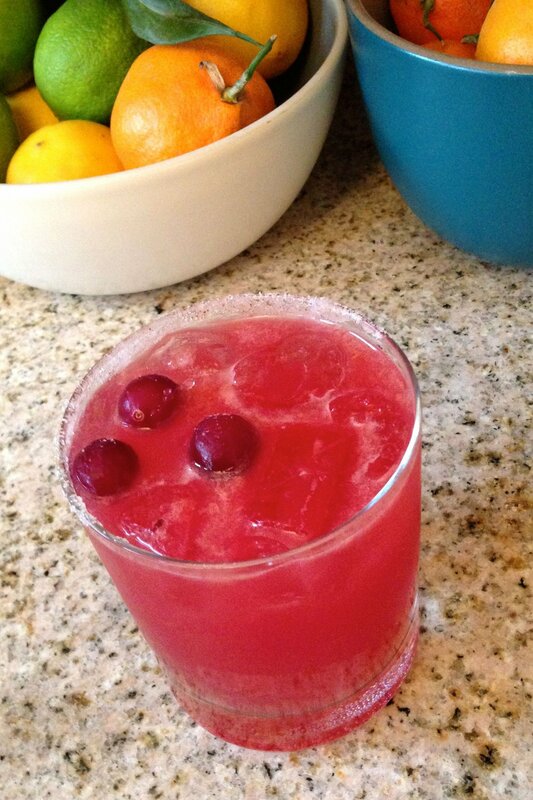 Top with whole cranberries for garnish.